Cutting your fabrics and textiles to size can be done with both efficiency and ease. Laser engraving materials can provide both a tactile effect and unparalleled high-quality finish. Whether your application is cutting unique and fine detailed shapes out of polyester, or engraving on a wide variety of other materials. Edges that are perfectly sealed from cutting. 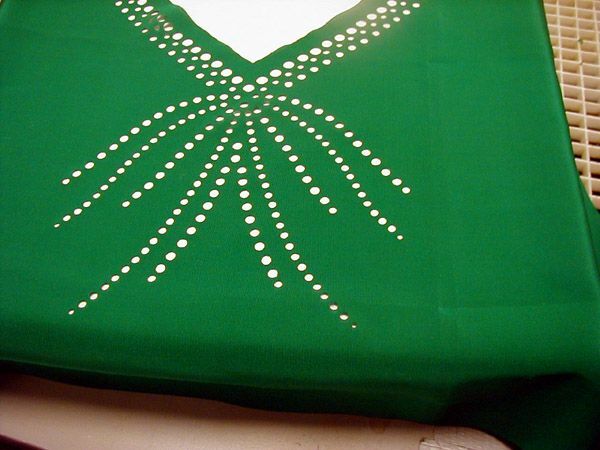 Cutting of fabrics that are precise, such as banners or flags. Compared to others, laser cutting is more productive and faster. With a laser cut service, you are also able to cut interesting shapes, create visually impressive engravings, and design products that are genuinely impressive to the eye. Synthetic fabrics commonly composed of plastics such as polyester, and respond very well to laser processing. The beam melts these fabrics in a controlled manner, resulting in fiber-free and sealed edges. Organic fabrics such as linen or cotton will process similarly to wood, and a brownish discoloration will appear on the cut edge. Do you cut multiple layers? In 99.99% cases, we laser cut one layer at the time. It is much easier to manage fabric on a laser cutting table and it is easier to control the laser for clean cutting. 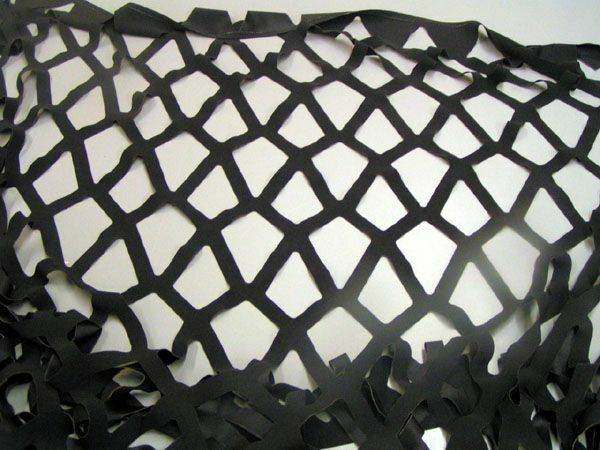 Also, in many cases, some fabrics will fuse with each other, due to the hot laser cutting that will melt and fuse fibers together. 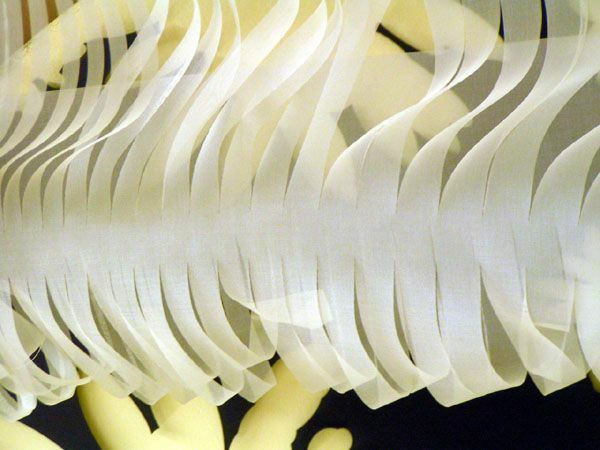 How small could the fine details of the laser cut textiles be? 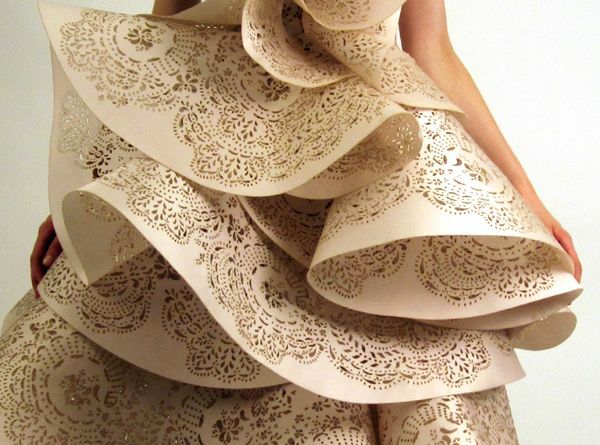 The size of the laser cut details depends on how solid is the fabric and how tight is the thread. 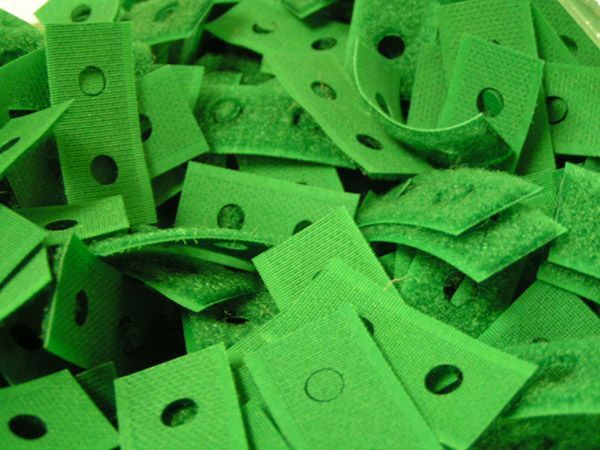 In general if the details of the intricate cut are less than 0.100″, then you should be expecting that fabric may start to break in thin areas. How large can you cut? We can cut 51″ wide patterns on 60″ wide rolls in one direction. Another direction is unlimited. It is limited just by the length of the provided rolls of textile.